This low carb pasta with vodka sauce is a tasty Italian-inspired recipe. 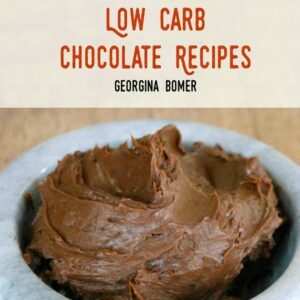 Keto friendly, too! Pasta with a tomato and vodka sauce is a traditional Italian dish – but for low carbers these meals usually seem beyond our reach. However, I am really enjoying the pasta products from Great Low Carb Bread Company – they don’t just make bread! 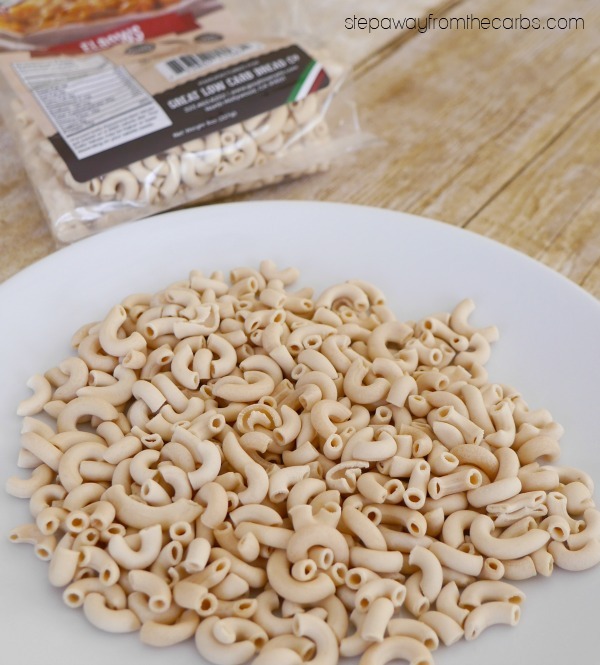 I tried – and loved – the penne that I used in my low carb pasta salad, so I thought that next I would try their elbow shaped pasta. You can get it from Netrition – and pick up a bunch of other low carb goodies while you’re there! Pea protein isolate, oat fiber, wheat fiber, egg whites, wheat gluten, semolina. Not exactly a scary list, right? And the texture of the cooked pasta is REALLY good! There are four filling servings in each bag, and personally I’m willing to spend $8 every now and then for a pasta hit! 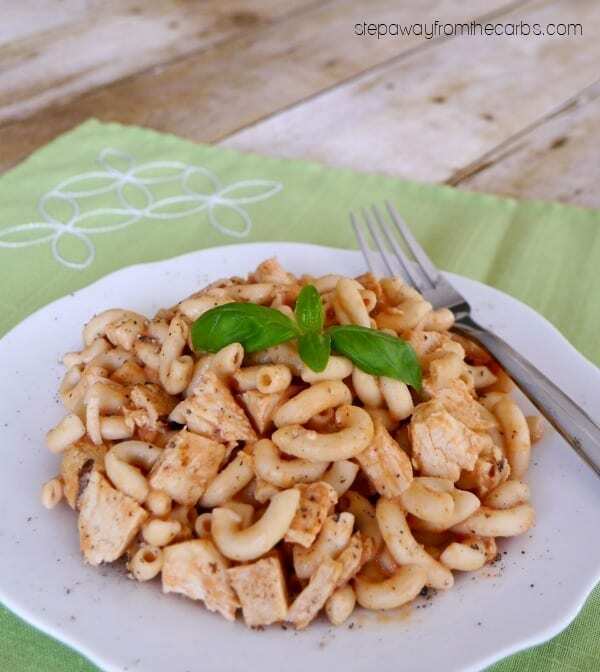 The carb count for the elbows is 7g net, which is why in this recipe I’ve only used one-and-a-half servings of pasta, but added non-traditional (but tasty) chicken to the dish. Anything with tomatoes can make that carb count add up quickly, so we always need to be careful. Traditionally, the vodka sauce is made from pureed roasted Roma tomatoes, and I must admit that I have cut some corners here and used canned tomato sauce instead. This is part laziness, I confess, because I don’t doubt that the roasted fresh tomato version has an amazing flavor! But it’s also partly because a prepared tomato sauce is much easier to measure, leaving less room for error (and as I already mentioned, we need to watch out for tomatoes!). 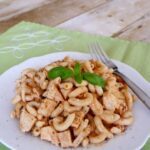 Even with the short cuts, however, you’ll still find this low carb pasta with vodka sauce a tasty and satisfying dish! Cook the low carb pasta according to the pack instructions. For the elbows, it was 10 minutes in boiling water. Meanwhile, add the vodka to a saucepan and bring to the boil. Keep it at a boil for 2 minutes, then reduce the heat. Add some canned tomato sauce, diced cooked chicken, onion powder, and garlic paste. Stir well to mix, then add in some heavy cream. Taste for seasoning and add salt and pepper as necessary. Drain the pasta, and stir it into the vodka sauce. Serve, garnished with fresh basil leaves. A filling and very tasty Italian low carb meal! Oh I just realized that I haven’t really mentioned the vodka. 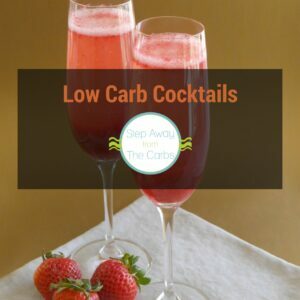 It’s zero carb, and how much you burn off the alcohol at the start of the recipe is really up to you. I love how you can just taste a hint of something beneath the layers of tomato and cream! Cook the low carb pasta according to the pack instructions. Meanwhile, add the vodka to a saucepan and bring to the boil. Keep it at a boil for 2 minutes, then reduce the heat. Add some canned tomato sauce, diced cooked chicken, and garlic paste. Stir well to mix, then add in some heavy cream. Serve, garnished with fresh basil leaves. 9g net carbs per serving. Wheat Gluten is not exactly good for you since lots of folks are gluten sensitive. I’m still looking for a low carb gluten free pasta.